How will the entries be judged and by whom? A panel of teachers, writers, sponsor representatives and local artists will evaluate entries based on content, clarity and relevance. Do I have to submit work only about rivers? No. Submissions should focus on the relationship between people and their watershed- the waters, weather, land, plants, animals and habitats that make up our beautiful and fragile river systems. 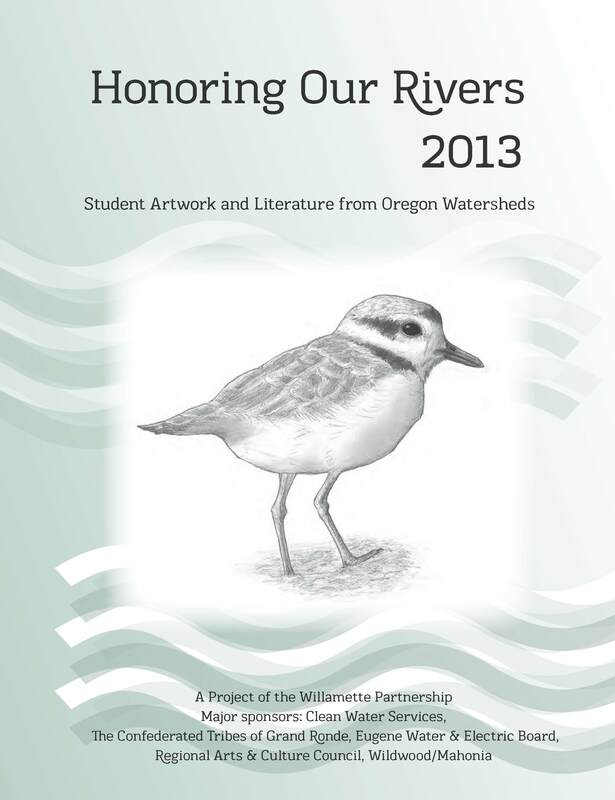 Original essays, poetry, short stories, black & white artwork or photography: Anything that expresses your thoughts, reflections or feelings about the river. Technical or scientific writing is also encouraged. Do I have to live in the Willamette Valley to participate? No - entries are invited from anywhere in Oregon! 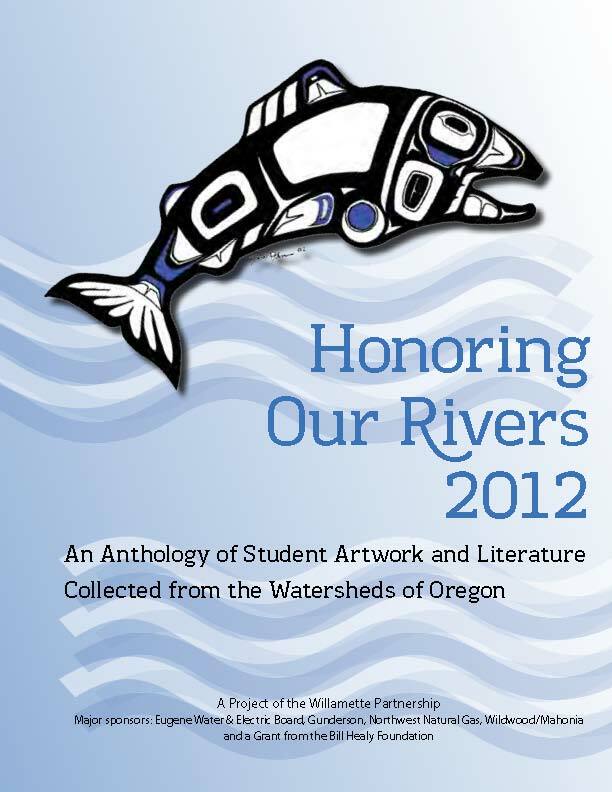 There is also a special section entitled "River Voices" that is exclusively for entries submitted in foreign languages. In past anthologies, entries in Chinese, Japanese, Russian and Spanish were submitted. Please provide translations for foreign language submissions. Only one entry - pick your best work. 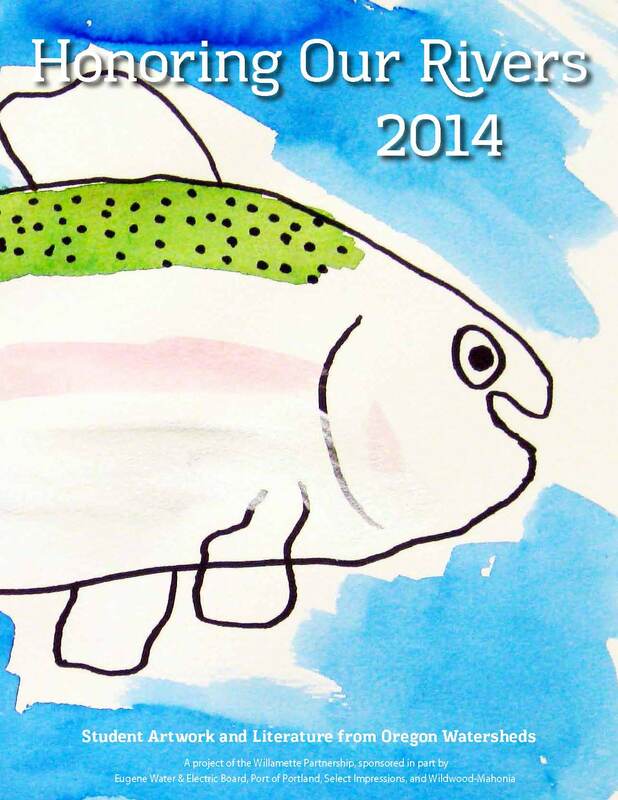 You can submit artwork as a stand-alone entry or to support or clarify your written work. When will the anthologies be available? 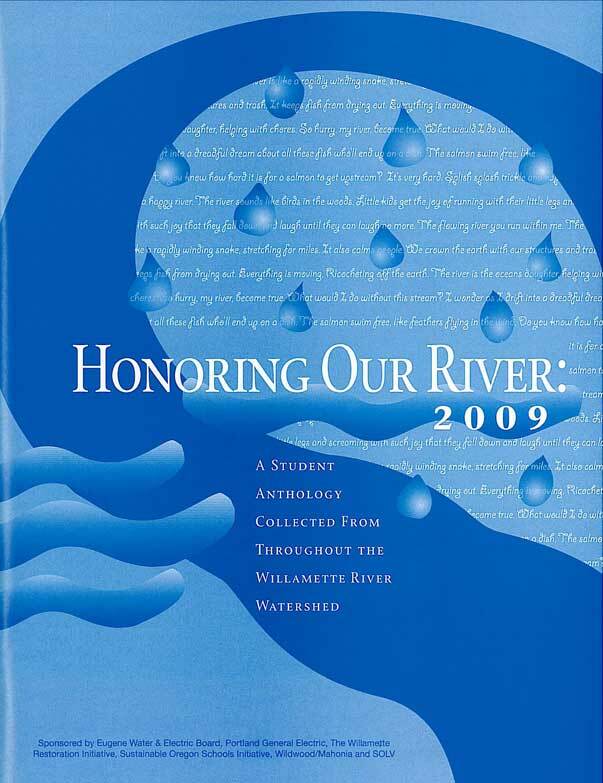 The anthology is published in time to distribute books for Earth Day events. If you have an event you would like anthologies for that occurs near our publishing date, let us know in advance so we can get them to you. Are all entries, regardless of the age of the author, to be evaluated using the same criteria? Criteria is adjusted for age. Each entry is scored by a minimum of three separate evaluators, and the top-scoring entries in each age group are chosen for publication. Who will receive a free copy of the anthology? All area libraries, published entrants, participating schools and teachers will receive a copy at the time of publication. Copies of the anthology are also distributed by our sponsors and partners. If you would like a free copy of the anthology, please contact us.